I’ve had evening soccer games all summer. The games are either at 5:45 p.m. or 7:10 p.m. and are 70 minutes long. 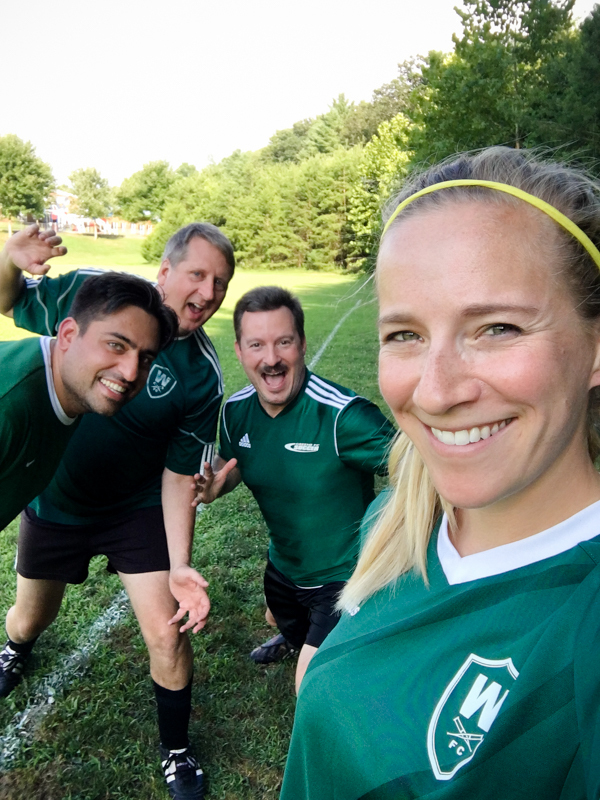 Often, we don’t have any women subs and I have to (or rather, get to!) play the whole game with only a halftime rest. So proper fuel and hydration planning are both quite important. Playing our games at dinner hour is always a little tricky. I need to find the balance between fueling for the game, having a relatively empty stomach to play on, and not getting too hungry. At 4:00 p.m. this wouldn’t be too hard, but for a 7:10 p.m. game, when a real dinner won’t be eaten until after 9:00 p.m, it has been a bit more challenging! Once or twice I resorted to cereal for dinner and called it a night, but I try to make getting a good recovery meal with vegetables a priority. Sports nutrition is a very personal topic. Some people I know can eat a big dinner or sandwich and be totally fine to run. Others can’t have eaten at all. I’m somewhere in the middle. I can’t do salads or veggies, but I can do fruits, dairy, smoothies, and other snacky things and be fine if I eat them at least an hour before. 1:00 p.m. // Big + late lunch. I try to make lunch a little bigger and a little later than normal with the goal of not being too hungry by game time. I also avoid anything that might be too strong or burpy (like sardines or garlicky kale!). 5:00 p.m. // Snack + hydration. If I’m feeling really hungry I will make a smoothie with banana, milk, oats and some Vega powder (the Coconut Almond is my favorite!) or have half a PB&J sandwich. My goal here is higher carbs with a little protein / fat for staying power, plus something that will fill me up enough to not be thinking about dinner at halftime! If I’m just a little hungry or I’m cutting it closer to game time, I’ll have a banana with peanut butter. 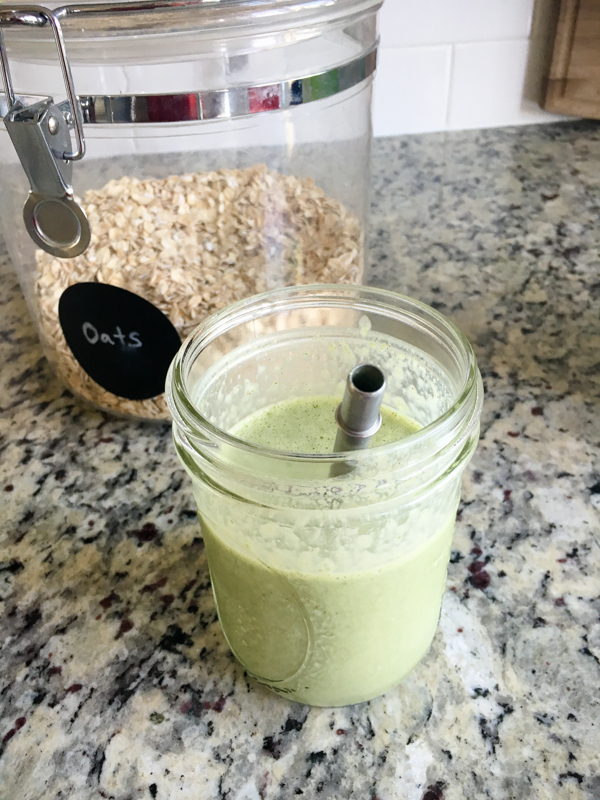 It’s always been one of my favorite pre-workout snacks! I’ll also chug some water on the side. 6:30 p.m. // Vega Clean Energy. (This one is also good – at Whole Foods!) In the interest of full disclosure, Vega sent me this as a sample to try, but I like it! Think of it as an all-natural, milder Red Bull (without quite that much caffeine). When I first tried it I had two full Sunday games, and definitely noticed that I had more energy than usual. I think it really gives a nice little kick! It also has simple carbohydrates, and within an hour of game time is ideal to take in about 15-20 grams of simple carbohydrates to ramp you up. Plus you’re getting fluids, which are important to top off. 7:10 p.m. // Game time! 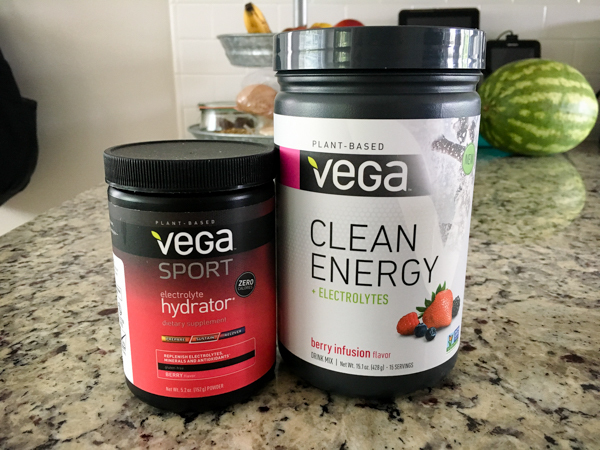 I take both water and Vega Sport Electrolytes with me. I used to have Gatorade powder, but I wanted something more natural and knew Vega would have something. I found this at Whole Foods and like it a lot! It’s just electrolytes and no sugar (unlike Gatorade!) I wish I could say I made my homemade sports drink all the time, but most of the time I’m flying out the door and just don’t have time. My bad! You know what else is great for hydration + electrolytes? 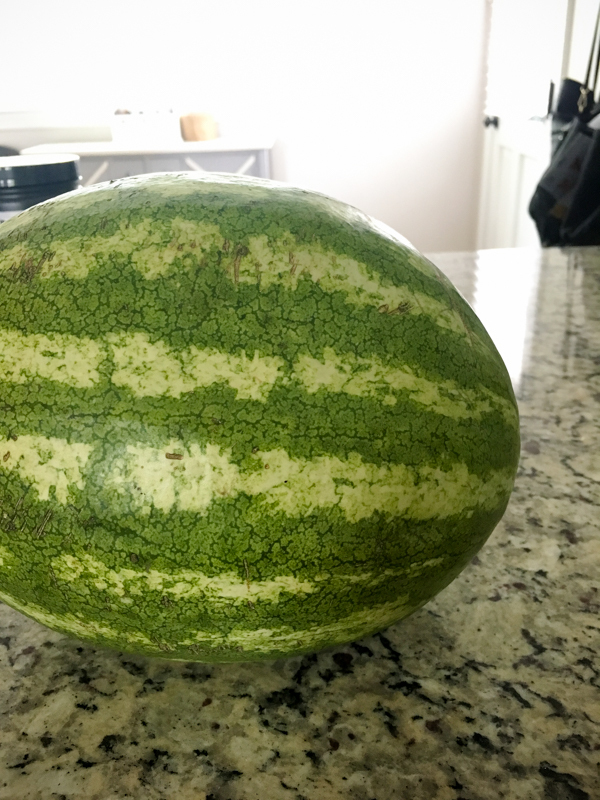 Watermelon! 9:00 p.m. // Dinner. If I have timed my snacks right (and / or opted for a larger snack) I usually don’t want a very big dinner after the game. Plus, my appetite is always a little suppressed after that kind of intense exercise. I aim to get in some good veggies and protein. Sometimes a Champion Shower Beer in the shower! 10:00 p.m. // Crash into bed. 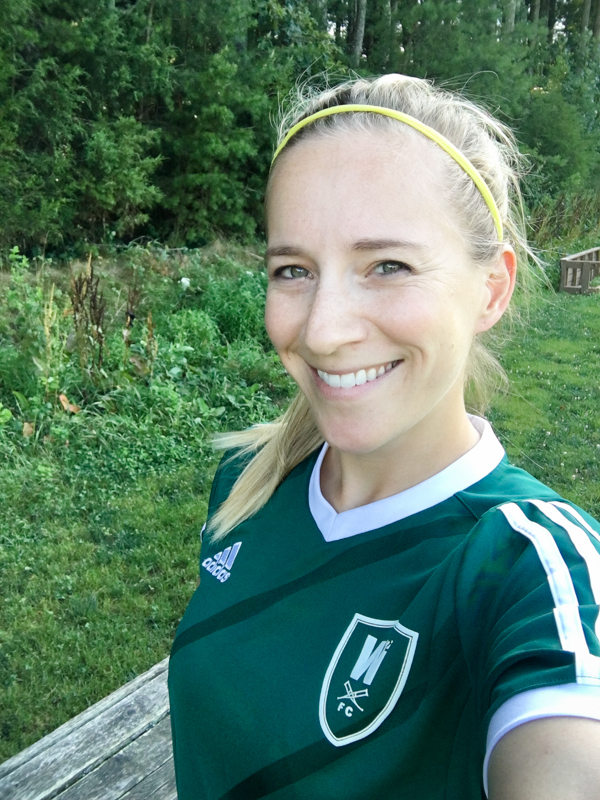 Check out these two posts on sports nutrition from my guest RD series! I love Wild Friends nut butters! Kath, you look gorgeous in that first picture!! I was going to say the same thing as Sally! Stunning! I agree with Sally, you seem to be glowing lately! I sometimes get in a bind on days when I plan to go to the gym. If it’s been long enough after lunch that I’m hungry, then I know I’ll want a small snack but not something that’ll ruin my workout. I sometimes try to eat nut butter and a date/banana/fruit or something light enough that won’t cause me to feel gross. This is a great post to address this issue! Kath you look so pretty! Seriously girl, so darn cute. Morning workouts are always a challenge for me! I don’t like to feel rushed at breakfast, but I also don’t want to eat a big breakfast before going running. I’ve been trying a small snack prior to running and then breakfast on days that I can wake up early enough. 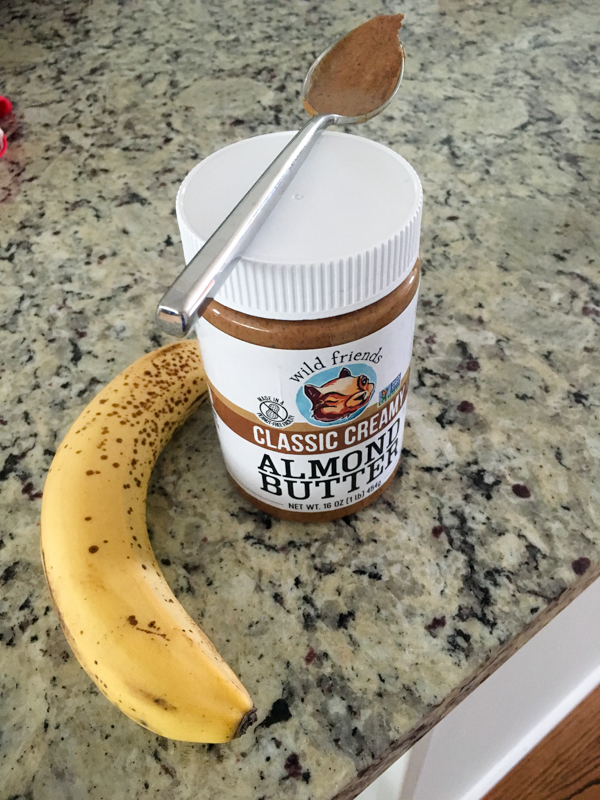 A banana with peanut or almond butter is definitely my go-to pre workout snack! Great suggestions – I’m awful at eating more during the day when I’m training in the evenings and my dinners seem to be getting later and later, meaning that cereal or a protein shake are appearing as dinner far more often than I would like them to! Thanks for sharing as I’ve been trying a small snack prior to running and then breakfast on days that I can wake up early enough.